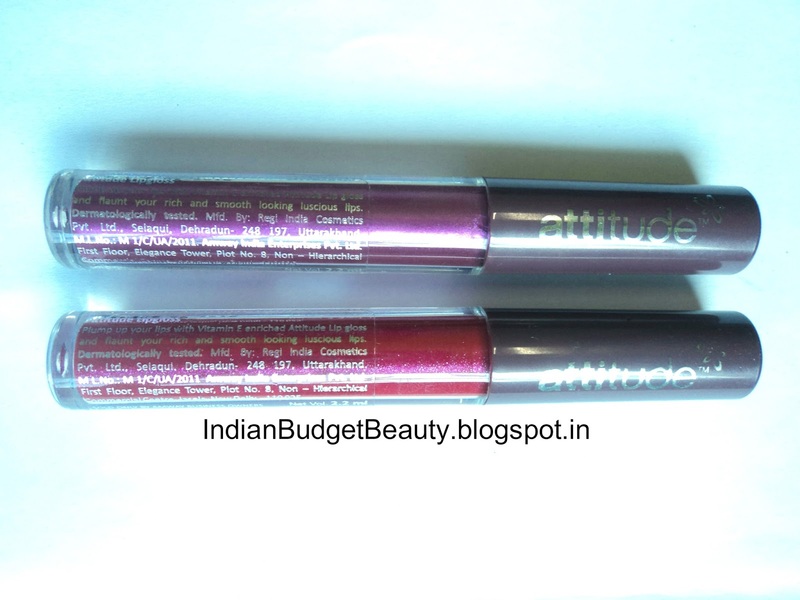 Today I'll be reviewing two lip-glosses by the brand Amway. I was never into this brand but since my aunt is a representative of this brand, so get changes to try on their products frequently *grin grin*. Plump up your lips with Vitamin E enriched Attitude lip gloss and flaunt your rich and smooth looking luscious lips. Dermatological tested. 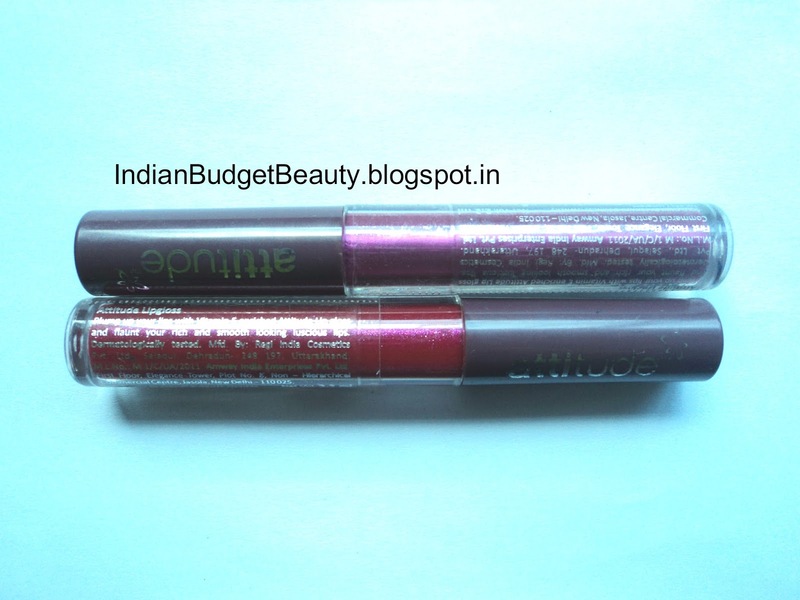 Luscious Plum: It is a very plumy colour with silver reflects in it. It doesn't appear as pigmented on the lips as shown in the swatches. Pink Berry: It is a pinkish red colour with slight shimmers in it. 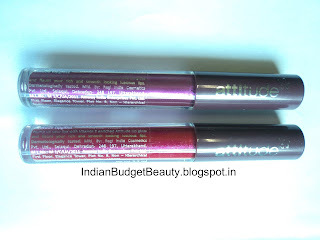 It is very pigmented and appears very pigmented on lips as well. The consistency is very thick and sticky. It has a pleasant smell. It does not last long but it gives a stain to your lips and keeps your lips well moisturised. It stays for about 3 hours without meal and with heavy meal it goes off but leaves behind a stain and also the moisture.